Great racing boat in immaculate condition! If racing isn't your thing she makes a great day sailer with lots of room inside the cabin for the family, and she is easy to sail single handedly while the kids are young, she comes with a furler (not currently fitted) if you prefer ease of use over pure speed, and is a fantastic platform to teach the kids to sail. 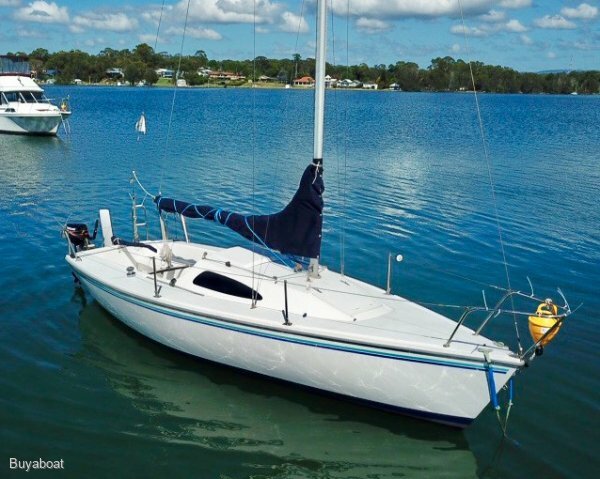 She draws a tiny 0.8m so she is perfect for sailing the shallower waters of Lake Macquarie, or any other enclosed waterway. This boat is in great condition and needs nothing done, just hop on and go sailing! The hull was antifouled in Feb 2019 and the Outboard motor is practically new, all the rigging has been recently replaced in the last 12 months and she has passed her 18/19 safety checks for racing. All that is missing from a great day sailing is you! Sailing this boat is the most fun you can have on the water! Fantastic boat for racing or just cruising around the Lake, call Sean on 0468601210 to inspect!